Dance legend Sub-Zero with Catrice Copper Cabana, UberChic Beauty plate UC1-03 and BornPrettyStore Super Matte. I picked the stamping color to go with the shimmer in the polish, but I don't think it matches the warm/blue as well (which you can see more of in this post). 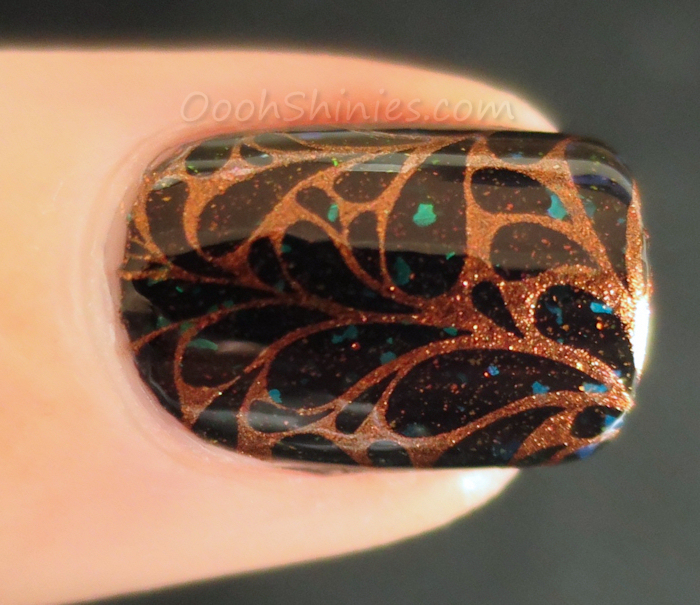 Next time I'll use Dance Legend Bogeyman if I want to create a similar mani! And I just love the image that I used here, I can see myself using it a lot!